Reiterating that Citizenship (Amendment) Bill, 2016 is a national commitment, Prime Minister Narendra Modi on Saturday said that the Bill will not affect Assam and Northeast even as massive protests witnessed across the State. Taking a swipe at the CM, the PM said, "Sri Chandrababu Naidu often speaks of sunrise Andhra Pradesh". 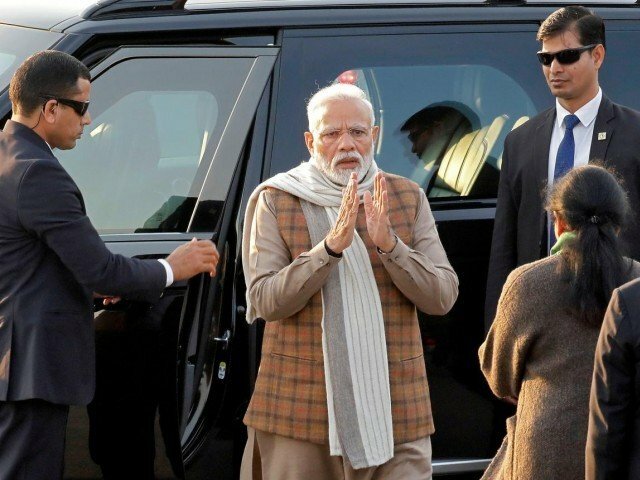 Modi arrived at the Guwahati airport from Jalpaiguri in West Bengal in a special Indian Air Force plane and was received by governor Jagdish Mukhi, chief minister Sarbananda Sonowal, finance minister Himanta Biswa Sarma and senior government officials. "The Prime Minister claims to be a chaiwala but look at his suits and boots....", the Chief Minister said. Modi, remembering NTR, also called out the Congress saying that it was due to their arrogance that NTR swore to rid the state from Congress rule. "You have placed a government in Delhi who is putting a lock on corruption", Mr Modi said. At Vijayawada and Guntur, TDP workers donned black shirts and took out rallies demanding, "Modi go back". The Prime Minister was speaking at a public meeting organised by the BJP after dedicating two major projects in the State to the nation - the strategic crude oil storage facility at Visakhapatnam with a capacity of 1.33 million tonnes built at a cost of Rs 1,125 crores and S 1 Vashista gas field development project in the Krishna-Godavari basin taken up by the ONGC at a cost of Rs 5,700 crores. "For them, this sector was only about brokering deals and helping their own set of friends", he added. "Why is it that every middleman caught has a link with some Congress leader of the other?" When our Army went across the borders to do surgical strikes, the Congress questioned that as well. Tiruppur: Prime Minister Narendra Modi addresses at a BJP rally in Tiruppur, Sunday, Feb. 10, 2019. The man who thinks all the knowledge in the world resides only in his brains.